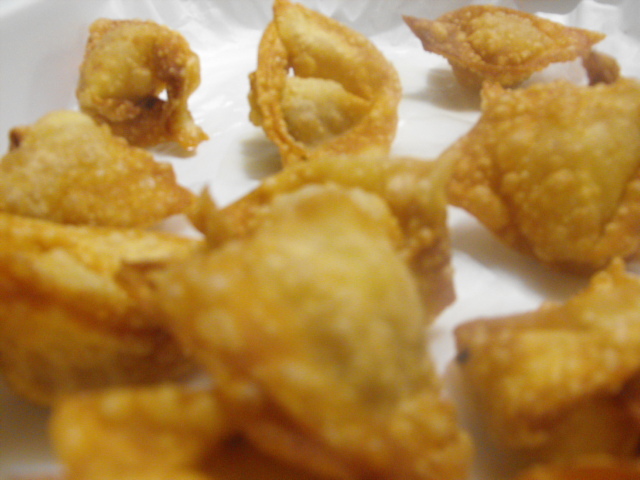 I love Crab Rangoon in any form off of any cheap Chinese buffet. I tend to nibble the filled portion and very sensibly avoid the crispy fried dough thinking I am doing a good thing by passing on the extra fat and calories. It makes me feel better when I go back for two more and two more and maybe even…two more. This dish was inspired by my love of Crab Rangoon and is a way to merge a couple of my other favorite foods, chutney and goat cheese. I have a weakness for all three, so why not just combine them? My waistline won’t know the difference, will it? 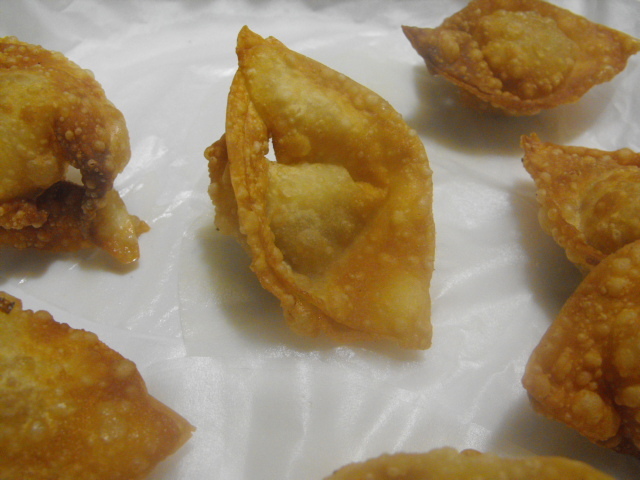 Lay out wonton wrappers on a clean, dry surface. Place one rounded 1/2 tsp. of chutney and one round 1/2 tsp. of goat cheese in the center of each wrapper. 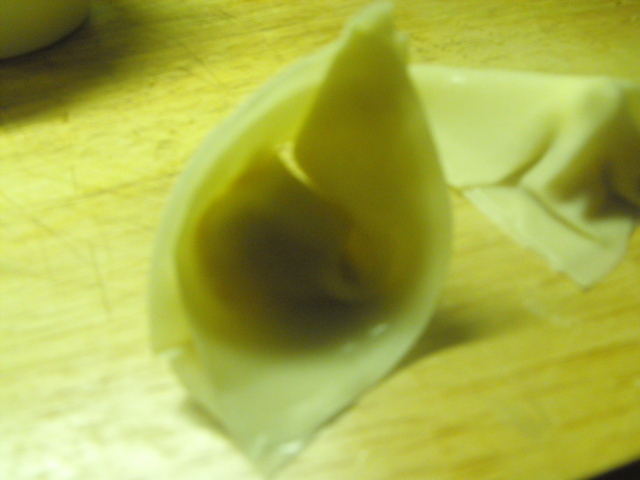 Moisten the edges of the wrapper with water. 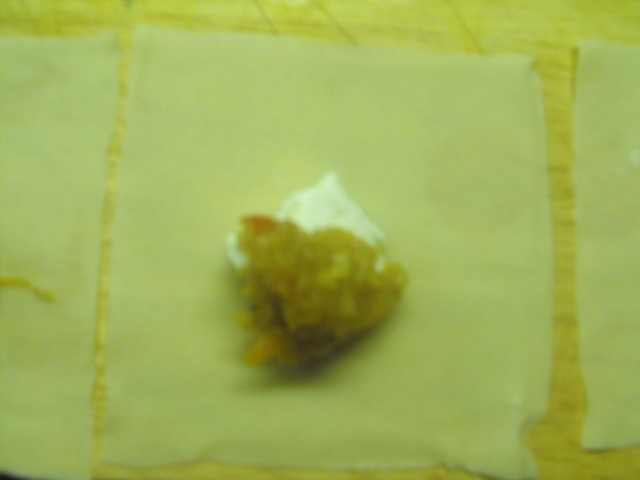 Fold one corner of the dough over the filling to meet the opposite corner. Smooth edges to seal. 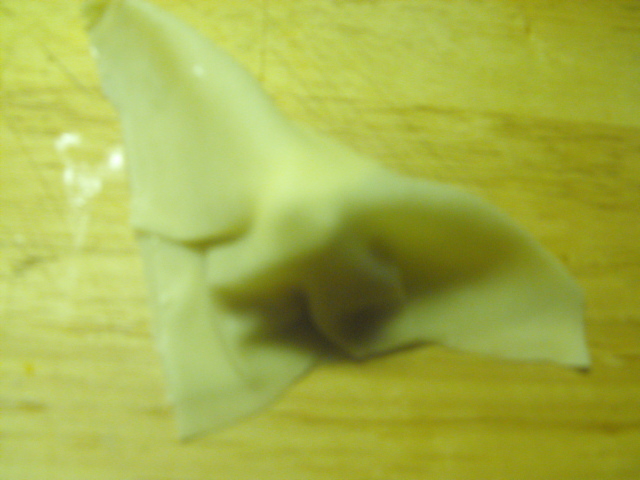 Moisten the two corners that make up the folded edge of the wonton and fold them up to meet. Heat oil over medium to high heat. 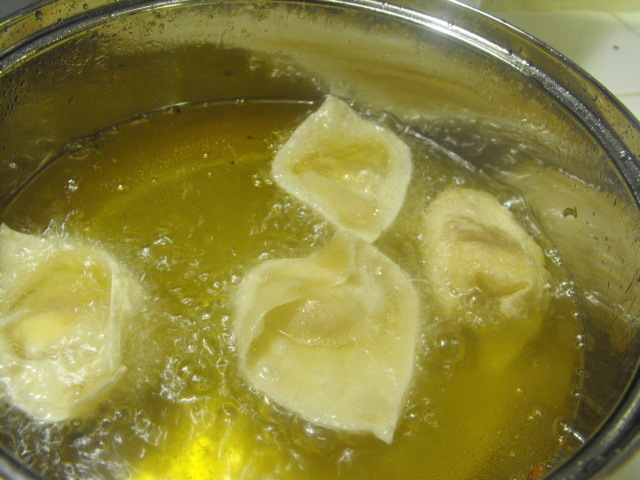 Fry wontons a few at a time until golden brown. Remove to absorbent paper and serve immediately.